From animal-style fries to mini apple pies, this oil-free cooking gadget allows you to enjoy the foods you love—without cheat days. There has been no better time to be vegan; the lifestyle is rapidly gaining popularity around the world, and vegan options abound. However, now that virtually every “guilty pleasure” has been veganized, a generic vegan diet doesn’t always equate to a healthy diet. If your New Year’s resolution involves a bit less fast-food and fewer trips to your favorite bakery, it might be time to invest in an air fryer. Recreate your favorite dishes, from fried rice to brownies, with this innovative appliance that will quickly earn a permanent spot on your countertop. Takeout, but better, in so many ways. 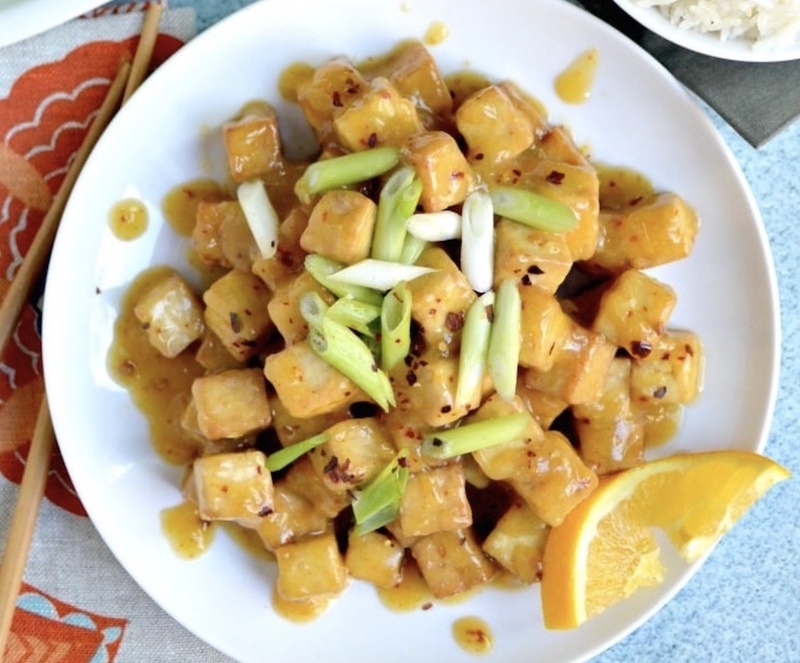 This oil-free tofu is sweet and spicy, crispy yet tender—perfectly reminiscent of fast-food orange chicken but without the cruelty or the excess calories. It’s also quick to throw together. You can have dinner on the table faster than Postmates could get to your door, and when your meal is homemade, there’s no need to tip. Serve with a side of steamed broccoli and regular or cauliflower rice for a deliciously nutrient-dense weeknight meal. Another takeout classic, fried rice gets a healthy, veganized spin with an air fryer. Swapping out cauliflower rice for white rice also cuts the calories and amps up the fiber so you’ll feel full, not deprived. 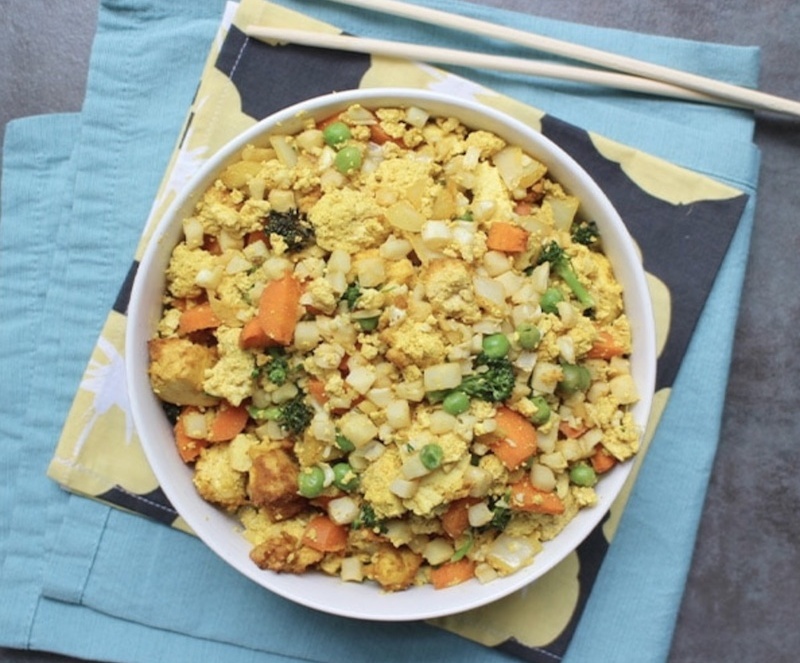 The recipe is rounded out with tofu (or your favorite vegan protein) and a generous portion of veggies, making for a complete meal you can plop on your belly while watching Netflix all night long. 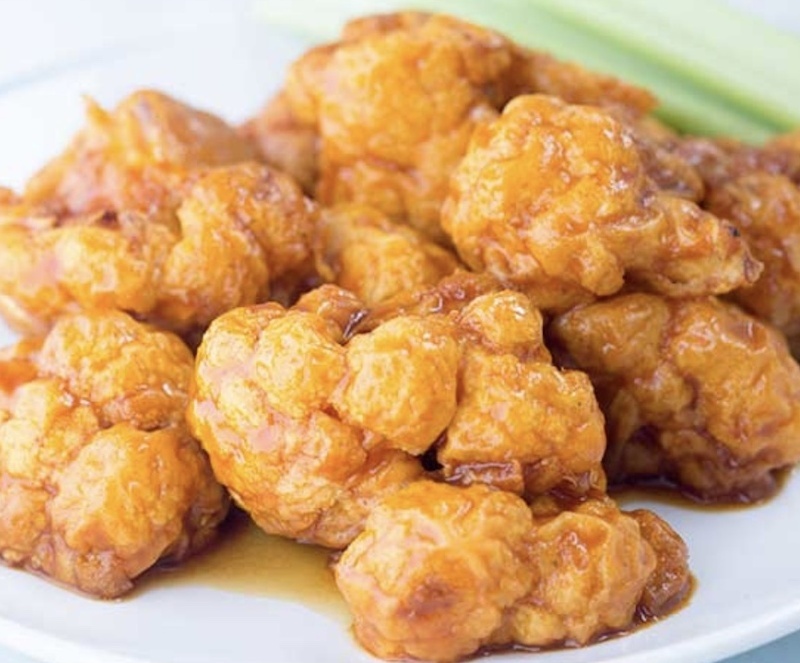 Buffalo cauliflower has become somewhat of a trend in restaurants; even non-vegan places have added it to their menus. While subbing cauliflower for chicken is a great start, many of these establishments still deep-fry this tasty appetizer and use an eyebrow-raising amount of butter in the sauce. This recipe cuts way down on the vegan butter and skips the deep-fryer altogether. The result is an equally satisfying snack that won’t weigh you down later. 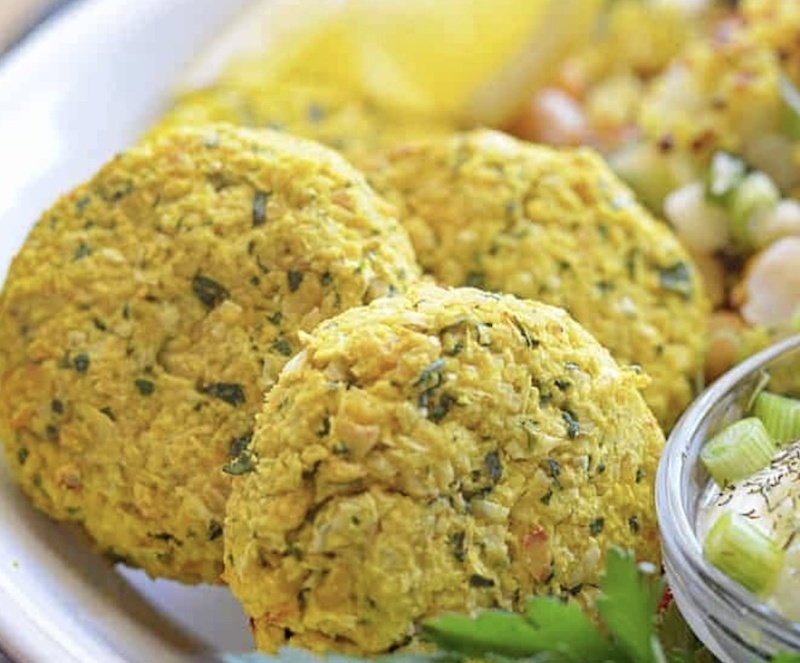 Falafel is a vegan staple, but many store-bought and restaurant varieties deep-fry these traditional chickpea patties. Get the same crispy edge with a soft and creamy interior by using your air fryer instead. Add some turmeric for some color and flavor, then serve your perfectly “fried” fritters with vegan tzatziki sauce and tabouli. Who says you can’t enjoy the occasional French fry while on a New Year’s health kick? Just use your air fryer. But don’t settle for simple ketchup and mustard to dress up those fries—make them animal-style. 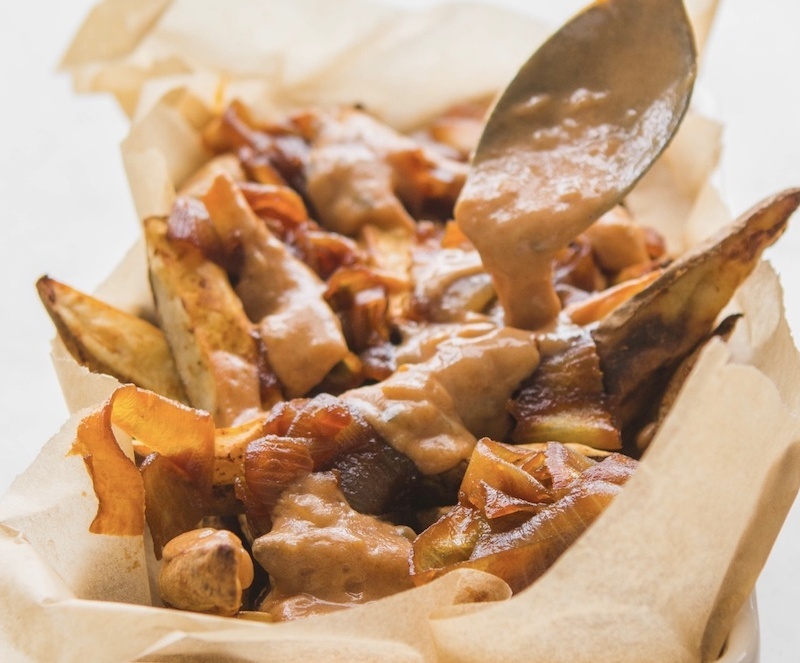 It may seem a bit indulgent, but this homemade special sauce and the caramelized onions are both oil-free. Go ahead, get wild. A sustainable diet is one that you enjoy! For some people, if there’s leftover pie in the fridge, it becomes breakfast. It’s a fun occasional treat, but not exactly “clean-eating” approved. 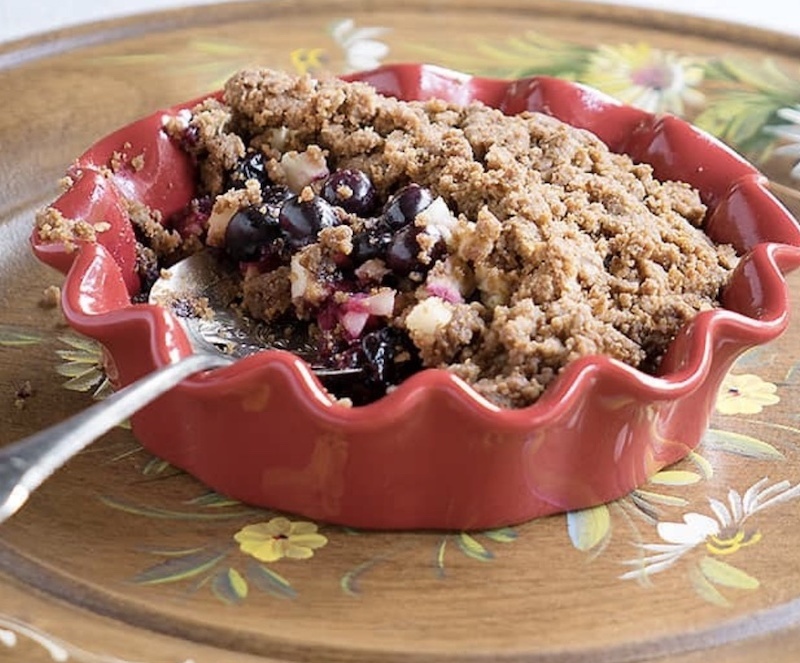 When craving dessert, treat yourself to an individual, air-fried fruit pie, and you won’t have to worry about any leftovers calling to you in the morning. Craving a brownie, but don’t have the time, energy, or willpower to resist over-indulging on an entire batch? These oil-free, small batch bars of chocolatey goodness come together quickly and use basic ingredients you likely have on hand. 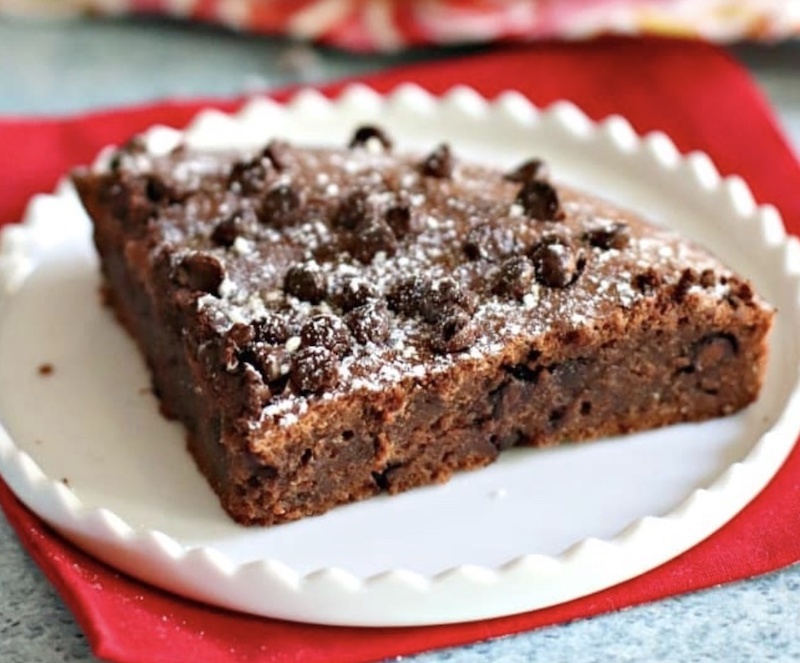 You can also customize them; add chocolate chips, nuts, or a bit of espresso powder for a personal mocha brownie. Whatever you choose, be sure to serve with a tall glass of nondairy milk. Cheers to balance and sustainable New Year’s resolutions!